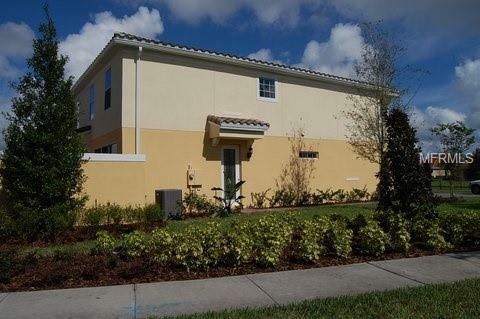 3 bedrooms, 3 baths and 2 car detached garage townhome in VillageWalk at Lake Nona. Open kitchen with breakfast bar as well as tile floors, wooden cabinetry, granite countertops and stainless steel appliances. This property features all appliances and internet, and basic cable provided by HOA. Living/Dining combo that opens to large patio. 24 hour guard gated community which features resort style swimming pool, lap pool, tot lot, walking paths, library/ business center, multi purpose clubhouse, tennis, and basketball courts and deli/gas. Pet Restrictions No Vicious Dogs. Listing provided courtesy of Zayas & Sims Llc.